May is here and there is a lot happening in the weeks to come! 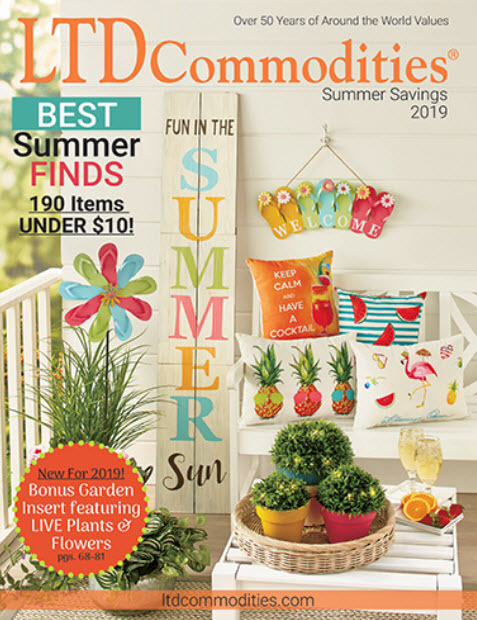 Memorial day, weddings and summer! Our Pinterest followers are getting ready for quality outdoor time and spectacular life events. Here are April’s Pinteresting Picks. 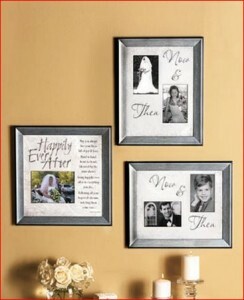 Wedding Wishes Cherish a memory of your special day with an elegant Wedding Photo Frame. The silver-gilded and beveled frame comes with a decorative mat. The Now and Then frames create a 2-photo collage with a childhood photo and either a current photo or one from your wedding. Holds two 4″ x 6″ pictures. Happily Ever After features a heartwarming sentiment and a place for a 5″ x 7″ photo of the happy couple. Each frame has a clear acetate panel to protect the pictures. 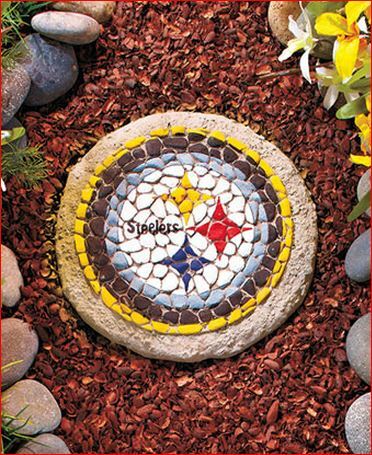 Gardening Goals Let everyone know which NFL team you root for with this Mosaic Garden Stone. 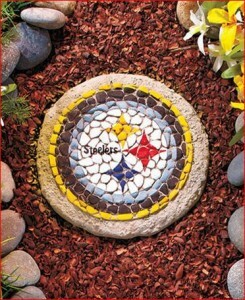 Use this garden stone as part of a pathway, or as an accent in your landscaping to demonstrate your team pride. Makes a great gift for a true fan! 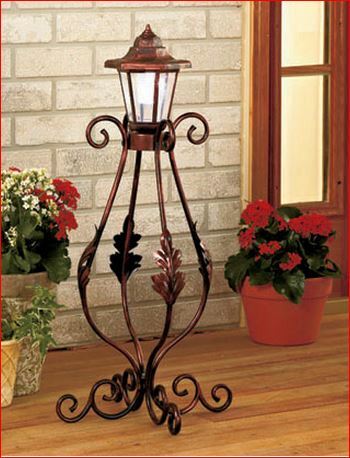 Decor Desire Add some color to your yard and porch with a Rail Planter. 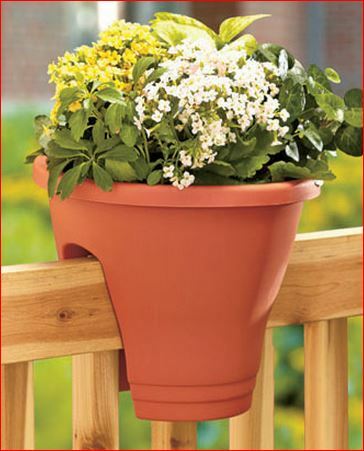 The weatherproof plastic planter fits over round or square railings and wood or chain-link fences, up to 2-1/4″ wide. It’s built with a reservoir to hold water for less frequent tending. Two plastic spacers fit into the bottom opening to stabilize and secure the planter onto the railing or fence. Elegant Enhancements Put an elegant finishing touch on your home with a Solar Garden Post. This classic accent features a teardrop shape enhanced with scrollwork. The lantern at the top is solar-powered, so it needs no time-consuming installation. Glows with constant white light for up to 8 hours on a full charge. On/off switch. A metal ring near the bottom of the Solar Post with Planter holds a 6″ pot. 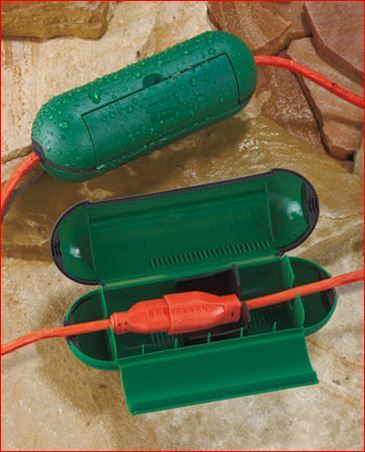 Practical Gadgets Protect outdoor electrical connections for a holiday display or at a job site with a Set of 2 Extension Cord Safety Seals. The case snaps around the point where the cords come together, and a rubber seal keeps out rain, snow and mud. An internal locking safety mechanism holds cords securely together. These cases are a simple solution that will prevent shorting out and eliminate the chore of reconnecting cords that have been accidentally pulled apart.